You can’t really talk about the evolution of backcountry skiing and glading in Vermont without mentioning Hardy, because he’s been out there skiing and enjoying the woods as much as anyone possibly can for most of his life. And in more recent years, he’s been instrumental in helping local groups—many of which are now chapters of the Catamount Trail Association (CTA)—pursue the development and management of their own backcountry glades. 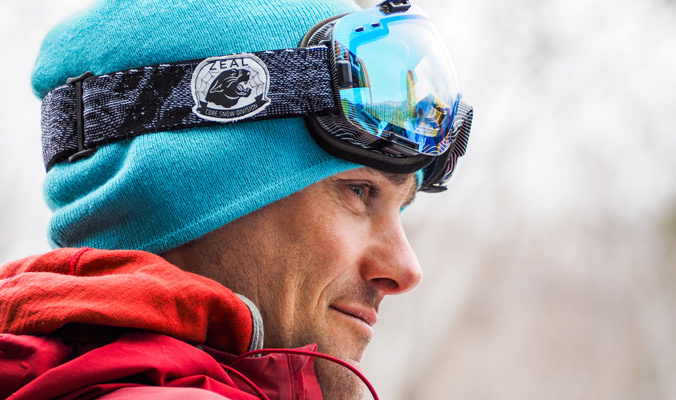 He’s been able to step in and offer his skills as a trailbuilder and sawyer in addition to his expertise as a lifelong backcountry skier who has a great eye for lines down the mountains, as well as routes to get you back up. Groups like Vermont’s RASTA (Rochester/Randolph Area Sports Trails Alliance) and New Hampshire’s Granite Backcountry Alliance have benefitted enormously from his work. And it makes for really fun ski lines when Hardy’s out there lending his experience and eye for terrain and the broader environment in which these glades can be found. What’s intriguing about Hardy-influenced ski lines are the many creative features worked into the lines. He incorporates elements in the terrain worth celebrating by making them accessible for the skier to utilize, or at least enjoy visually. It may be a little booter for catching some air, a feature that holds more snow in one section of the line or just a really cool tree or overhanging limb that is purposely left as a visual element. He has an eye for the beauty of the Vermont mountainside and the variety that our terrain offers. When you’re in a zone Hardy has had a hand in shaping, you’re getting a good taste of how special our mountains are. These ski lines are far more than simply an open corridor in the forest. The lines branch and reconnect, working around important tree islands along the way. Glading for Hardy is as much about tending to the forest and recognizing the value of certain species as it is about skiing and riding. With birch trees, for instance, it’s critical to their survival that they not be left too isolated and have the support of other species around them. Understanding the value and function of different tree species and terrain features in the forest automatically leads to varied lines with great character. Hardy’s very much at home in the woods. You see that reflected in the way he interacts with the landscape and the mountains, and it feeds his connection to people and community; he loves to see people getting out and living healthy lifestyles.